Amazon continues to make headway in the smart-home market while Apple mostly watches from the sidelines. On Tuesday after the close, it was announced that Amazon.com, Inc. (AMZN - Get Report) will buy Ring, the home security doorbell company, for more than $1 billion. While the price tag may seem gaudy -- especially after Ring was seeking a valuation of just $7 million on CNBC's "Shark Tank" show a few years ago -- remember that Amazon has a $737 billion market cap. Notably, Action Alerts Plus holding Amazon shares were up $17 apiece, or over 1% Wednesday, as investors reacted positively to Amazon's further implementation into the "smart house" theme. However, the S&P 500's 1% pullback was too much for Amazon stock, which ended the day higher by 3 basis points at $1,512.45. In fact, its ascent is noteworthy when considering what Action Alerts Plus holding Apple Inc. (AAPL - Get Report) could have done in the same space. Remember a few years ago when Amazon rolled out its Fire smartphone? Largely viewed as a flop, it was the company taking a swing at something and ultimately striking out. In Amazon's case, it's OK to strike out when looking to disrupt -- particularly because CEO Jeff Bezos & Co. actually land a fair amount of these haymakers. Even the Kindle, which isn't considered an iPad killer by any stretch, does its job in generating Kindle book sales. Many head over to Amazon.com, log into their Prime account and one-click download a new book before remembering (or even caring) that Apple also offers books. Another segment Amazon didn't swing-and-miss on? The voice assistant. Its Echo line-up has quickly ballooned to include several different products for shoppers. It's not uncommon for customers to have more than one Echo device either. Aside from generating sales from the Echo, Kindle and various other devices and services, these segments do something that's perhaps even more important than add to Amazon's top-line growth: they further embed Amazon's ecosystem into users' lives. As a Prime member, adding Alexa to the line-up makes it that much easier to engage a customer. Be it on the weather forecast, re-ordering detergent or calling a family member. It also gives Amazon pricing power in the future, for when it eventually bumps its annual price. It started with free two-day shipping before progressing to music, videos, cloud storage and countless other benefits. Amazon is rather seamlessly integrating itself further and further into our everyday lives. Be it shopping, entertainment or simply asking Alexa a question about the weather or hailing an Uber. In some sense, it's making us less dependent on our smartphone, giving us one less reason to pick it up to open an app or quickly check something. The Echo is capable of integrating tons of different services, from voice-controlled temperature control, light dimming and TV navigation, among others. Amazon's purchase of Ring will only add to those capabilities. While not verified, a part of me feels that Ring may also be in Amazon's future plans when it comes to deliveries. Will the device be able to grant access for package drop-offs and other deliveries? It wouldn't surprise me, as Amazon continues to expand its logistics operations and has toyed with the idea in the past. Additionally, the Echo crushes Apple's Siri when it comes to recognition and capability. 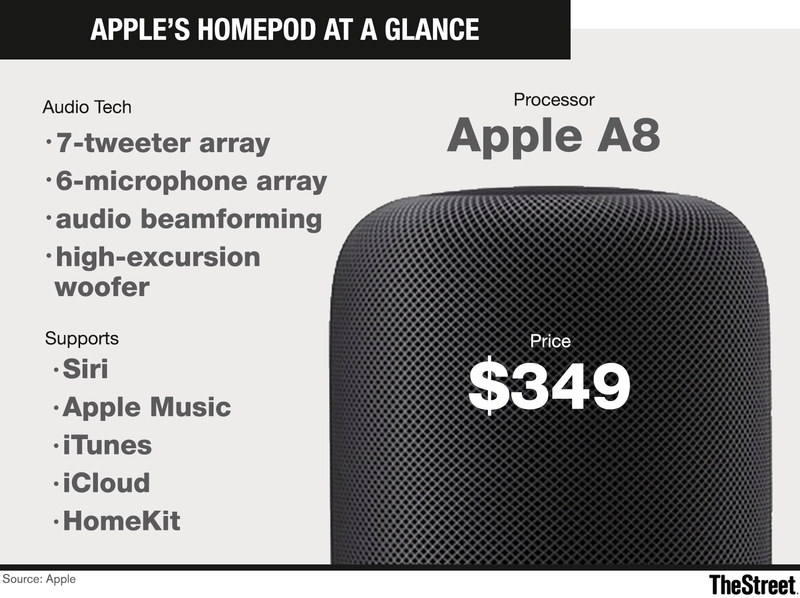 When Apple finally released the HomePod, it was months late, missed the vital holiday period and is highly priced at $350. That's not to say it won't do well or that Apple should have rushed a subpar product to market solely to prevent Echo from capturing more market share. But in a world where Apple was dominating our devices just a few years ago, it feels as though Amazon has quickly gained ground and has staked an early position in the smart-house market. Devices like the Echo and Ring are part one and more will surely follow. Some analysts have suggested that Amazon acquire iRobot Corporation (IRBT - Get Report) next. With a $1.95 billion market cap, Amazon could easily scoop it up, although that doesn't mean it will. It could also consider boosting its entertainment offerings. It recently announced a deal with Lions Gate Entertainment Corp. (LGF (LGFA (LGFB for its Prime video users in Latin America. Could they acquire the company outright? Sporting a market cap of just $4.3 billion and an apparent openness to selling the company, it wouldn't be surprising to see Amazon bolster its studio capabilities. In the end, it's tough to guess what Amazon might try to buy. But we know one thing: It's beating Apple to the punch. In this way, it's surprising given Apple's cash hoard. The company has more than enough money to jump into R&D (and be better with Siri) and M&A to build out the leading smart-home suite. It hasn't, though, and doesn't look as if it's feeling the pressure to do so. Admittedly, the businesses that Apple does occupy are wildly successful and it doesn't need to control every aspect of every industry. But this seems like one market -- given its iPad, iPhone, iCloud, iTunes, HomeKit and wearable products -- it could dominate in, if it chose to get more involved. For now, though, it seems like Amazon is more focused on doing so.